The Georgian House was built in around 1790 for a plantation owner and sugar merchant named John Pinney (1740-1818), who settled in Bristol when he left Nevis. Two black servants, one bought as a child, the other born on Pinney’s Nevis plantation, also lived and worked in the house: Pero Jones (c.1753-1793) and Fanny Coker (1767-1820). Fanny had been given her freedom at the age of 11, Pero remained enslaved. 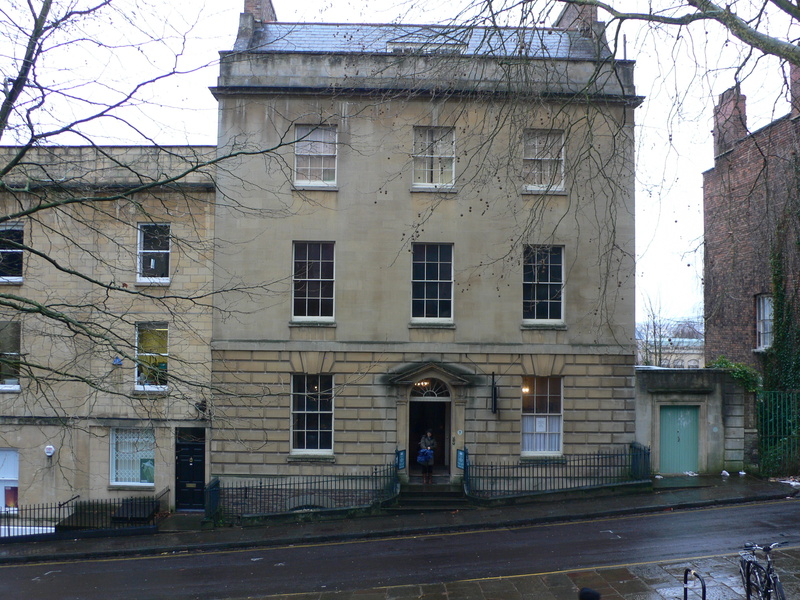 The House was presented to the city in 1937 and Bristol City Council has operated the site as a period-house museum since 1939. Rooms are open to visitors across four floors, and it is divided into life above and below stairs. Life above stairs features rooms such as the Dining Room and Drawing Room across the upper three floors, while life below stairs has the kitchen and housekeeper’s rooms in the basement. Information cards provide details about the objects within the rooms including furniture and paintings, and some information on the people who lived there. It is located in central Bristol near the University and Cathedral. On the second floor there is a small 2D exhibition, in a room next to the bedroom, giving information on the family, the Nevis plantations, and the black servants. Panels have been present in the room since the 1990s, but they were updated and re-installed in April 2018. A large board features the names of the known enslaved people on the Pinney plantations over 200 odd years, and a graphics panel covers nine topics including Bristol and Slavery, John Pinney, Pero Jones, Fanny Coker, Hard Labour and Resistance. They connect the site, and city, to Transatlantic Slavery, through the stories of individual people. In addition to this display there are implicit and explicit references to slavery throughout the house. Slavery is included on the introductory board and first information card on John Pinney. There are also objects, particularly downstairs, including a sugar cone in the larder and a newspaper discussing the slave trade on the kitchen table. Further audio and information is planned to be added at the house, which will tell more about the slavery connections of the family and house.